Dazzle carpentry training limited inspires a new path as it holds the first ever NATIONAL CARPENTRY & FURNITURE SUMMIT (NACAFS) in ABUJA Nigeria. In a concerted effort to address the current unemployment challenges in Nigeria and to reposition the carpentry and furniture industry, Dazzle® Carpentry Training Limited leads the industry to host the first NATIONAL CARPENTRY & FURNITURE SUMMITS (NACAFS) in the Capital City, Abuja, Nigeria under the supervision of Africa’s leading event & business promotion company Azariah Transnational synergy limited. Speaking with the Convener OJI Chukwuemeka I, he made it clear that this Summit is the first of its kind in Africa and will provide veritable platform for industry enthusiasts, practitioners, stakeholders, government and its relevant and regulatory agencies to meet and explore relationships that will position the industry in Nigeria and thus provide job opportunities for Nigerian youths which is one of the goals of the platform. He further stressed that the summit will create opportunities for the most important exhibitions in the wood, furniture and furnishings industry: office furniture, home furniture, Industrial furniture, kitchens and bathroom furniture, upholstered furniture, furnishings, lighting fixtures and equipment, woodworking machinery, major appliances, textiles, doors, components, manufacturers, architects, lighting designers, consultants, engineers, hospitality industry professionals, government officials, international entities and more with the sole purpose to promote efficient Carpentry and furniture innovations. In his remark, he reiterated that the National Carpentry & furniture summit will offer a unique program of plenary and knowledge sessions designed to shed light on the latest development in the furniture and carpentry sector. He assured that the summit will give all the practical resources needed to be up to speed with the latest trends in the carpentry and furniture sector, make practitioners’ business even more competitive, and facilitate companies’ expansion into new markets in Nigeria. 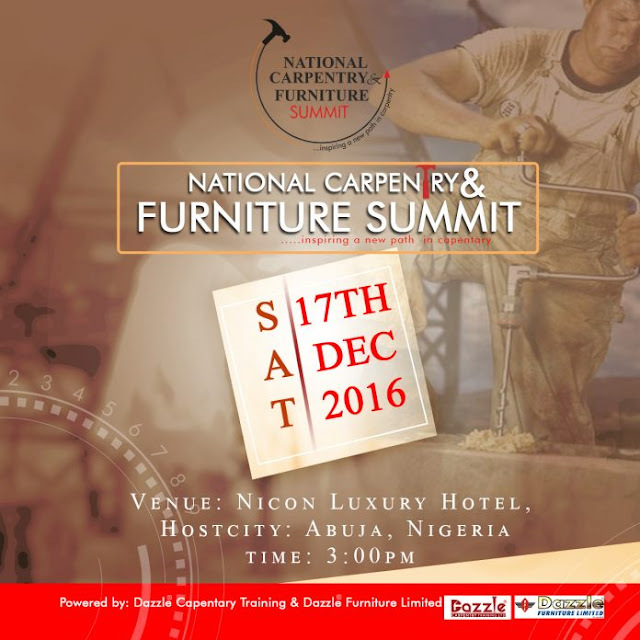 The National Carpentry & furniture Summit 2016 is committed to promoting the Nigerian private sector and offers fortunate participants the unique opportunity to share the vision and experience of very high-profile contributors who are on the cutting-edge of woodwork, furniture and carpentry business issues while providing a platform for Exhibition for industry practitioners. 1. A birthing place for advanced applications of technology and innovation to Carpentry & furniture practices. 2. A meeting point for professionals and start-up entrepreneurs to engage in the pedalling of ideas and create useful interactions that will further position the sector in Nigeria. 3. A place of unique understanding for investment in carpentry and furniture sector. 4. A first step in exposing the opportunities in the carpentry & furniture sector in Nigeria and campaign for quality and innovation in the sector to encourage local and international patronage. 5. A platform to showcase the creativity and innovation of Nigerian carpenters and furniture practitioners to investors in Africa and around the world. 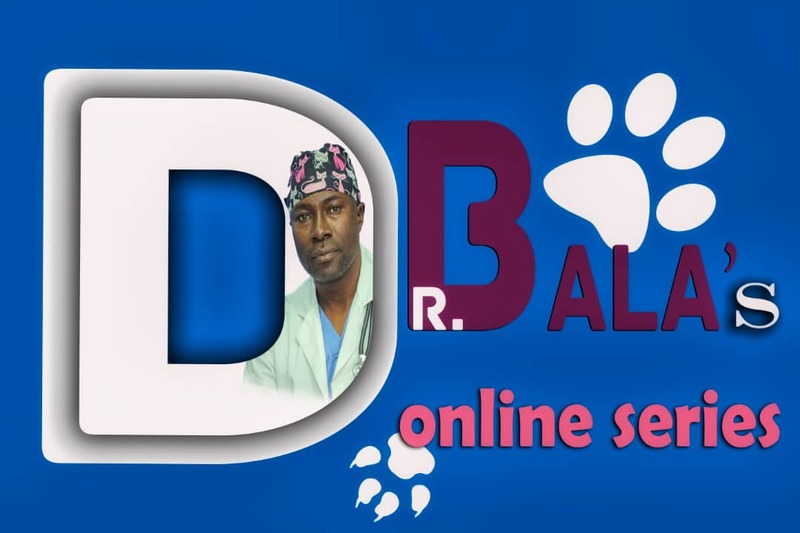 dazzlecapentrytraining@gmail.com or call the following numbers; 08025080663, 07016834404, 07016834407.